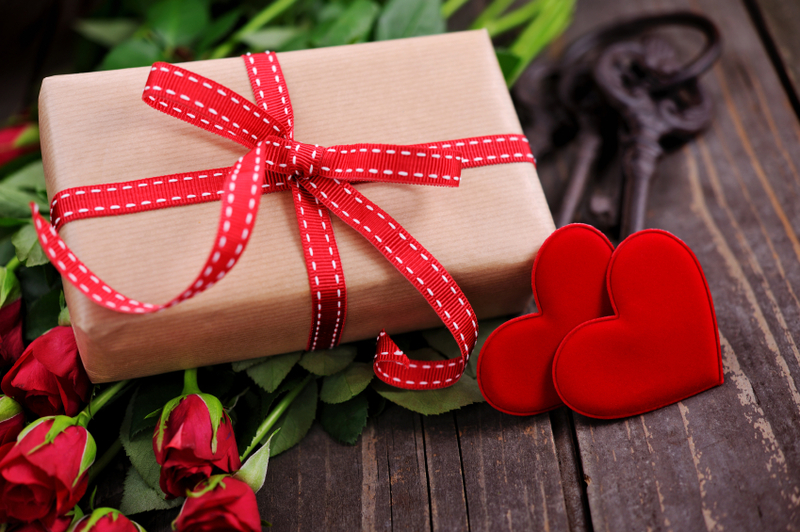 Valentine’s Day is almost here, and yes your male partners deserve gifts too. Men don’t have to spell it out but they would also appreciate something from you; anything that shows that they are truly loved. Just as much as women want affection men secretly crave affection from women. So in other to help you find affordable gifts that the men would appreciate, I have made a list to guide you through gifts you should get for the men in your lives. I actually consulted from the men themselves, asking a few male friends, male co-workers and of course our dads what they would love to get this Valentine’s from their loved ones. Though I got the funniest answers as to what they’ve been getting in previous years, I heard some of you ladies got them deodorants, shaving powders and briefs. Anyway, none of them is expecting anything too serious but men will appreciate it if women will be more thoughtful with their gift choices this Valentine’s. I think surprising them this season will change their view on gifts and it will remind them that you notice their needs too. This list will help you select the exact gifts you can give him that he probably really wants. Good luck ladies! This tops my list because it’s very affordable and functional. I don’t know why men are very soft hearted when it involves their ladies as they are still expecting very affordable items. Obviously they really love you, so the best way to surprise them despite their very easy demands is to go for high quality belts and wallets. A good designer belt will do. Instead of getting them deodorants and roll-ons, you can get them a gift that would end up benefiting you too. You should be happy they even want a perfume, now you can buy a good perfume that smells just how you intend your man to smell. However, when getting this, please don’t get a female perfume. Make sure it’s a masculine smell that you both like. Contrary to the belief that African women don’t spend on men, I believe this would make him appreciate you a lot more. There are a lot of affordable new phones that are released daily. You know what brand of phone he already uses and surprise him by replacing with the newer version. Trust me this would blow his mind. However, if his phone is too expensive for you to upgrade, you can get him a phone accessory that he would love. Who doesn’t love jackets? Yes definitely not me. As a guy I know we love jackets so it was no surprise to me when I heard a couple of the young lads say they wanted coloured jackets, even denims and designer jacket for Valentine. And yes, I know you would share it with him especially on those cold outings where you can collect it and cover yourself with. Just make sure you confirm his size when you’re getting it for him. Please don’t practice with his meal. If you know you are not so good at cooking his favorite meal, you can outsource by asking someone to help, as long as he thinks it’s from you, you’re good. Remember “the best way to a man’s heart is through his stomach”. After the meal, you can then ask for your own ‘giftsss’ too lol. I know everyone expects a watch. It’s like a perfume; you can never have too much. As simple as this gift item is, don’t under do it and get him a watch that he wouldn’t like. Study him carefully and get information on the kinds of watches he wears. After that, get him something similar or better, don’t go below his standards and get angry when he refuses to wear it. Be very careful with this gift when selecting what team’s jersey to get. Ask if you don’t know because any mistake with this gift can make or mar your relationship lol. Make sure you get him his club’s jersey; whatever team he supports. Don’t give him a club or team he doesn’t support. The tougher guys specifically demanded “designer shoes” not just any kind of shoes. They specifically want original designer shoes. This request isn’t so hard to get, just look for his best shoes and get him something in that bracket. I would advise a casual lace shoe, but I’m sure you know what he would like best so surprise him with an LV, Louis B Red Bottoms or Gucci shoes this Valentine. I’m sure you’re up to the task. His mum always gets this. However, since he wants this from you this time, get a tailor to make the attire for him using one of his cloths for measurement. Remember it’s a surprise so he shouldn’t know about it. Easy colours please, don’t get him your own favorite colour; get him his. I’m sure you already have an idea of what that is. Yes! they want this too. You don’t have to take him on a very expensive date; any thing that makes him happy would be ok: a movie, lunch, dinner and even a picnic is ok. It could even be an indoor date where you threat him to a nice movie inside the home. Just something to show you care about his happiness too. With these few tips, I’m sure you get the picture of what he really wants or what you can get for him that he would appreciate. Now go and surprise him this Valentine season with gestures that would count. Happy celebration of love!